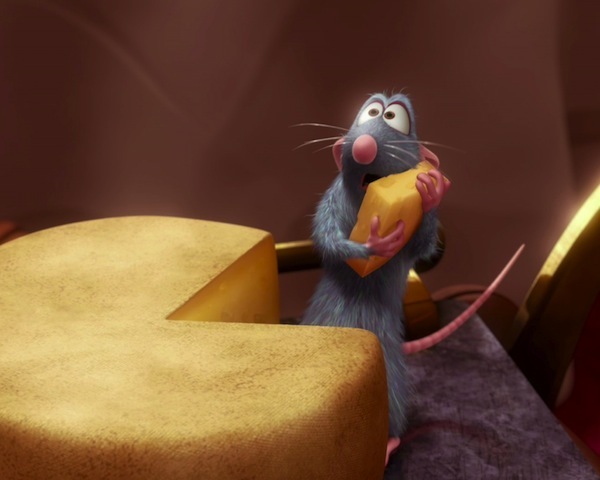 “The early bird may get the worm, but it is the second mouse the gets the cheese.” This attitude has always been a comfort to me, as I am a procrastinator through and through. It is not a genetic condition, but a malady which has plagued me since my college days. Over the last couple of years, my Jesuit formation has taught me to plan in advance, and that I do not employ my delaying tactics as often. Yet, I still find myself dragging my feet when it comes to calling a friend, writing a letter, or replying to emails. On the contrary, when I stop postponing these things, I find these activities to be very life-giving. I usually tell myself that I can find God in all things if I stop procrastinating and start seeking Him in my neglected and unfinished tasks. I will illustrate this through a personal example. Back in 2009, at the end of my first year of novitiate in Montreal, I was struggling with my vocation. In fact, I often thought of quitting during those times. Following the advice of St. Ignatius of Loyola, I avoided making a decision in times of desolation; that is, a decrease in faith, hope and love. I knew I needed to hold fast to my days of joy and peace – those that led me to join the Jesuits. But I was also bending over backwards with my prayer life which was felt very dry. In many occasions, it felt like I was just serving time. The practice of the examen of consciousness was not helping me either. And then one day, as I was browsing through iTunes for podcasts on Ignatian Spirituality, I found one that was given by Father Jerry Fagin (hereforth called Jerry), a Jesuit priest who was teaching at Loyola University in New Orleans. Jerry explained how Ignatian spirituality is grounded in our experience of gratitude towards a loving Creator who dwells and labours in creation. His talk was compelling, clear and honest. He ended his talk with the examen, and the way he prayed the examen spoke to my heart in a Depeche Mode type of way. Because of that, I would return to the last part of his podcast as a guide whenever I struggled with praying the examen. Over the next three years, I have listened to that section of the podcast – and Jerry's voice – more than 500 times. It was during one of my early examens that I gave thanks to the Lord for the gift of this podcast, for Jerry, and for what gratitude had done in my life. I made a point to write to Jerry and thank him for the wonderful gift that is his talk, but it took me a year to actually write to him. Jerry was very grateful for the email. He did not know whether the talk had served its purpose, and my email assured him that it had. I told him his talk saved my vocation, and that is not an exaggeration. Fast forward to the beginning of this year. After I discovered that I was coming to New Orleans – from where I write this blog entry – I contacted Jerry and expressed my interest in meeting him, an invitation which he accepted. At that time, he was already struggling with cancer, and his health declined rapidly after the cancer metastasized. I was hoping that I would get to meet him before he departs, but this never happened. He died on the 14th of June while I was in St. Louis. I heard from many Jesuits that he had chosen to be buried in Grand Coteau, LA, the site of the Jesuit novitiate for the Southern Jesuit Province. I felt sad that I would not get to visit his grave, since Grand Coteau was not part of the travel itinerary for our Hearts on Fire Jesuit Mission Band. Then last week, a window of opportunity opened, and we decided to visit Grand Coteau. There, I finally had the opportunity to pay my respects to a man whom I had never met, but someone who changed my life forever. I am thankful for the moments I break free of the fetters of procrastination, and I am able to seek and find God in unexpected places. I am grateful for the gift of Jesus Christ. I am thankful for His gift to us in prayer. I am grateful for what Jerry taught me about gratitude and about offering my day to the Lord. I look forward to the day I march on towards our heavenly home, where I shall finally tell him face to face how grateful I am. In the end, when the mouse gets the cheese, it is not because he procrastinated, but because of a loving God who cares for all His creation. Thanks, Santiago, for this story about Jerry, who did his theology at Regis in Toronto. I got to meet him when he was a "Fourth Year Father" (the men were ordained after 3rd theology then and put in their first year as priests back at the theologate). He was always impressive, kind and courteous, a "southern gentleman". When we meet again perhaps you can share his talk with me. Meantime, best wishes with "Hearts on Fire".